The global sailing event ‘Bart’s Bash’ is set to return in 2016, and this time the event will spread across 2 days; Saturday 17th and Sunday 18th September. Tim Anderton, Event Organiser explained “Since we launched Bart’s Bash in 2014 we have received lots of feedback from sailing clubs and organisations across the world saying they wish to take part, however they currently sail on Saturdays. We really hope this change will allow even more people to take part in the event and get inspired”. The change in format will allow even more sailors and non-sailors alike to get on the water and enjoy this incredible event, which has so far seen over 50,000 people taking part in more than 70 Countries across the world. The organising team have also decided that similarly to the 2015 event, Bart’s Bash 2016 will not be a Guinness World Record attempt. They simply want to concentrate on encouraging more people onto the water and continue to raise money for the international sailing charity, which is currently supporting a variety of sustainable sailing projects across the world. In 2015 alone, the ASSF have already supported 20 projects with funds totalling more than £250,000. 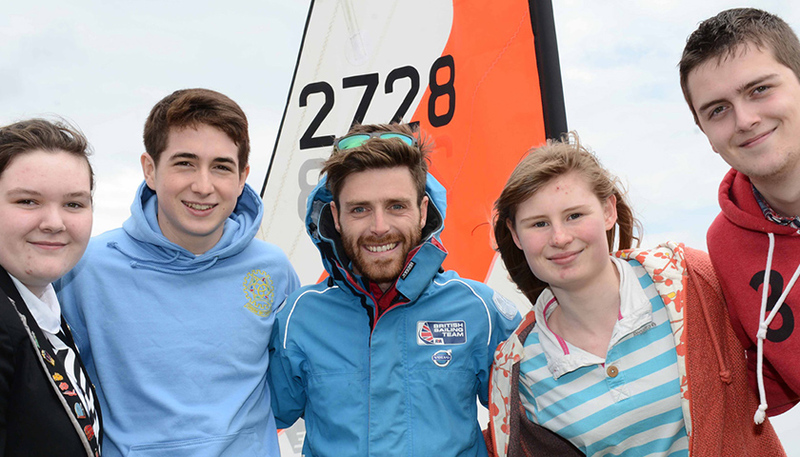 Each project selected supports children and young people aged 5-24 with financial, physical and social needs to participate in sailing and develop them as individuals. So the date is set and the foundations are in place for ‘Bart’s Bash 2016’. Please email team@bartsbash.com with your interest for the next event and any questions you may have….be there!